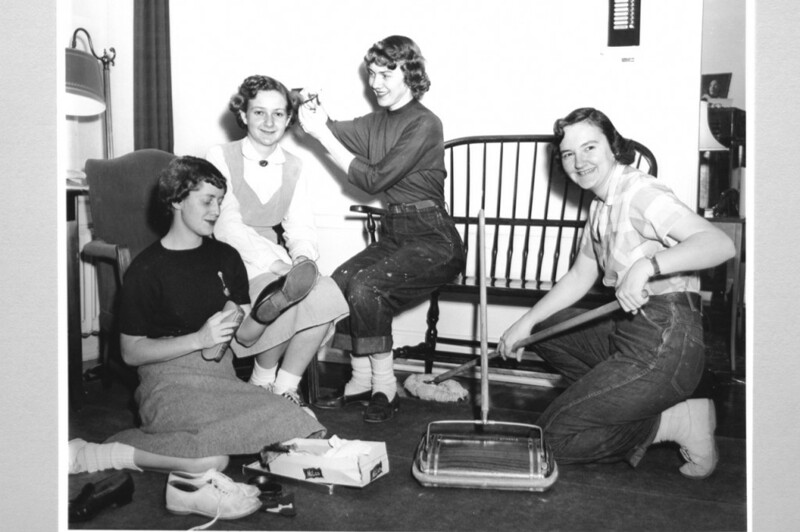 Back in the winter of 1952–1953, the women of Allen House went to work across campus—polishing shoes, cleaning rooms, mending clothes, and washing cars—all to buy a TV for their first-floor lounge. Within a month they had reached their goal—“proof that perspiration plus cooperation added to perspiration equals relaxation,” that year’s Seal editors proclaimed. Whether you’re among the “Allen House Service Squad” members pictured here, or you’re willing to share your own story about the odd jobs you worked in college, we’d love to hear from you. Write us at the address at the top or magazine@tcnj.edu.